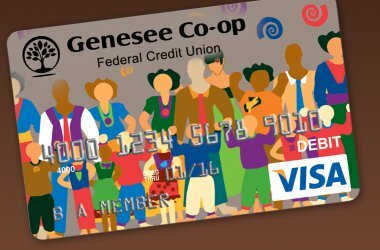 Founded in 1981, Rochester, New York-based Genesee Co-Op Federal Credit Union grew out of the desire of members of a local consumer food cooperative to bank with a financial institution aligned with their social values. Over the years GCFCU has evolved to serve a much broader constituency, as it lends with increasing intentionality, sophistication, and inventiveness to support a more regenerative, interconnected regional economy. GCFCU exemplifies the Goldilocks Rule in banking – the need for banks that are “just right” to serve the commercial needs of a particular scale. GCFCU’s work helps build the healthy human networks so essential to regenerative vitality in two key ways. First, increasing access to credit for people of modest means increases local circulation and local vitality along with it. Secondly, building trustworthy relationships and nourishing local businesses are critical to building the community-serving regional networks we so desperately need. For almost twenty years after its founding, GCFCU remained a relatively small financial institution with only about $4 million in assets. But 1998 represented a turning point for the credit union. In that year GCFCU received CDFI accreditation and relocated from the second floor of the Genesee Food Coop and onto the main street of Rochester’s South Wedge, a low-income neighborhood where it became a more visible presence in the formerly bankless community. There it began to assume an identity distinctly apart from the food cooperative and with an increasingly diverse customer base. “The food coop was largely white,” Melissa reflects. “We had a lot of students and artists and we were on the left spectrum of politics and values. Our associational membership from the early days included groups like the Gay Alliance of Rochester and the Yoga Society.” After moving, the credit union extended its charter beyond those associational members to include 13 more diverse census tracts in the city. Today membership is racially and ethnically diverse and about 10 percent of members are refugees from Somalia, Sudan, Tanzania, Ethiopia, and, more recently, Burma. Many of these new residents came to the community as part of refugee resettlement programs. Among those new members were people with no credit history, many of whom were looking to help defray relatives living expenses in refugee camps abroad who could not travel to the US for health reasons. Serving members with little or no credit history was not new for GCFCU. It had been extending loans to students and other young people for many years. The credit union developed a family aid loan portfolio that ranges from $1500-$4000. It now represents five percent of total lending and is holding up very well. In the last six years, as part of its CDFI mission, GCFCU also began to increase mortgage lending, to support home ownership for lower income populations. The credit union began to retain more of those mortgages on its books during the mortgage crisis as the secondary market collapsed and many members couldn't quality for a mortgage that could be sold into it. Home mortgages now represent 60 percent of GCFCU’s portfolio. A holistic approach to product development is baked into GCFCU’s DNA. “It grows out of how we live our values and express them throughout our organization,” Melissa explains. For example, for the past 25 years, long before it became a popular offering with “green banking,” and before the day of hybrid vehicles, the credit union was offering a 50 basis point reduction in rates to members who purchased fuel-efficient cars. Melissa explains why the GCFCU began promoting bike loans a few years ago “out of a conversation we had around why was it that we only have car loans? What if people needed, or some members might like, a bike loan? We felt promoting biking as an alternative to car use would be important as an expression of ourselves as a responsible community… to get people to do more bike riding and to be less dependent on cars.” GCFCU sponsored "Ride It: Art and Bicycles in Rochester," a Rochester Contemporary Art Center exhibit sharing member artwork that celebrates Bicycle Art and Bike Culture. The GFCU board has also adamantly opposed providing a drive up window. "If we are going to look at other convenience services, they would be a walk up or a bike up, not a drive up window," Melissa maintains. The credit union is also considering extending solar installation loans, as the NYSERDA direct lending program to consumers has been curtailed. As part of that phase-out NYSERDA has instead begun providing a subsidy to lenders like GCFCU to enable them to offer reasonable rates to customers. For the moment, GCFCU is helping members “go solar” through HELOC lending. When GCFCU extends loans, it always looks at resourceful ways to minimize possible negative impacts on the environment. ​So, for example, the lending officer might have a conversation with an auto loan borrower about both the financial and environmental benefits of purchasing a high-fuel-efficiency vehicle. Recently, when a member asked for a loan to convert his gas vehicle to biodiesel GCFCU did the calculations to determine how to value this vehicle after the conversion, and made the loan happen. GCFCU’s regenerative mission goes deeper still. “We have a long history now of successfully doing start-up microloans but they are very isolated and individual dependent,” Melissa admits. “Any time there is a loss because a business has not succeeded or because a catastrophe beset it and it had to fold, it is very difficult for that entrepreneur." "So the idea of linking to strengthen the economy — the idea of weaving an economy and seeding the relationship connections inside it — has become something we are actively seeking to do." GCFCU has been a member of the National Federation of Community Development Credit Unions since the 1990s. Cathi Kim, ‎Director of Community Development Investments Program for the federation, has worked with GCFCU for several years and reports that she has been deeply impressed by how the credit union has evolved and grown, not just financially but in impact. 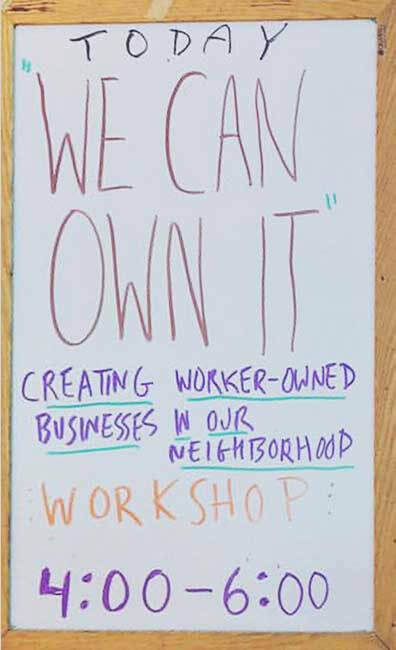 "Their responsive and purpose-centered approach to financial services,” she reflects, “are a model for how credit unions—financial cooperatives—can help transform communities." Please share your thoughts on GENESEE CO-OP FEDERAL CREDIT UNION here.